Today, we view overnight street parking as an inalienable right, but in the early days of car ownership in New York, it was illegal, contentiously so, pitting business owners against car groups and citizen against citizen. 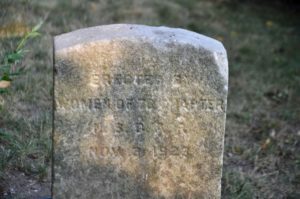 It’s surprisingly recent history—the issue remained unresolved into the 1960s. Modern parking laws in New York date to the end of 1954, when new regulations eliminated the old time limits, which were one hour during the day and evening, and three hours after midnight. Under the new rules, adopted in 1954, noncommercial vehicles were limited to a total of 24 hours in one residential spot, according to the New York Times, which meant that you could park as long as you wanted, essentially, but that police had a loophole they could use to clear abandoned vehicles. Howard D. Hammond of 444 Ovington avenue [across the street, today just about where Lutheran Elementary School is], the leader of the opposition to Constant’s plan, last week applied for an injunction restraining Constant. 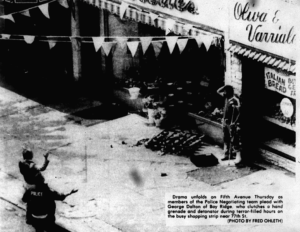 It was the beginning of the end for Ovington Avenue, once the main street of an artists’ collective called Ovington Village, which once enforced strict standards of building on the block—the “restrictive covenant” to which the judge refers. So Constant built his garages on family land, and they opened on September 1, 1917, according to newspaper advertisements; their centenary approaches! 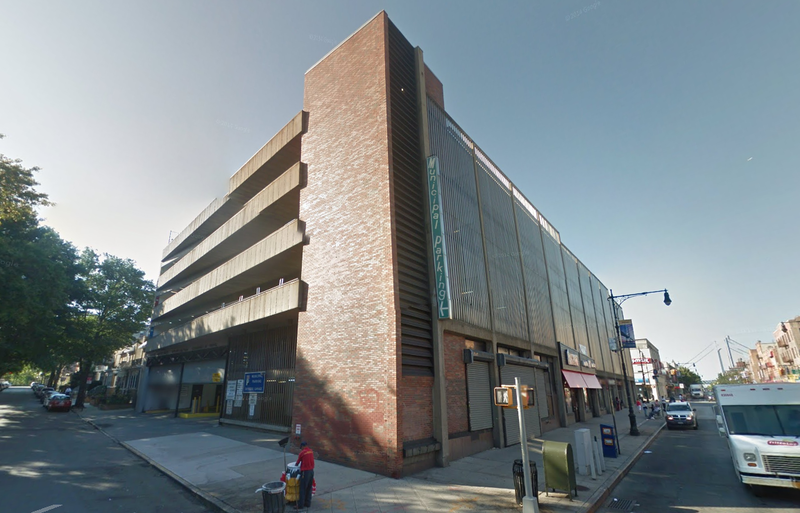 Arthur Constant “had been engaged in the building business,” according to his obituary, “and built a number of garages at 65th St. and 5th Ave., which he operated. 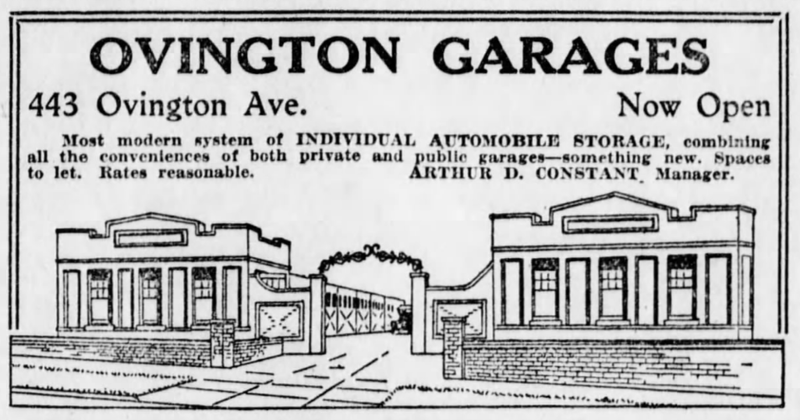 He was president of the Constant Motor Service Corporation.” The company opened its Ovington Garages a few months before the Eagle published an editorial outraged at “people who park their automobiles here, there and everywhere while they attend to their private business.” On-street parking was considered vulgar in the early 20th century. Streets are provided primarily for unobstructed passage. If any of them are given over to standing vehicles it is by sufferance and not by any right possessed by those thus served. Though the public is under no obligation to provide parking space in the streets for vehicles, as a matter of accommodation cities do permit this at definite times for fixed periods where such service does not interfere with the right of the general public…. …What places an inconvenience on the individual may be for the convenience of the masses, and interests of the latter govern. The automobilist who hunts for a parking place on the streets and finds it is favored by a privilege. He is not enjoying a right. 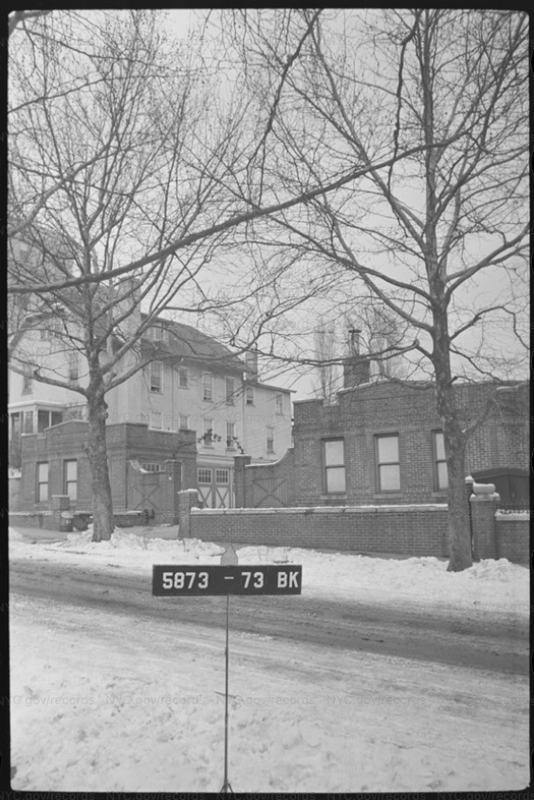 Right here in Bay Ridge, a campaign of ticketing “night parkers” swept through the area in 1932, “to rid the streets of the ‘convenient places for thugs to hide and to make the movement of fire apparatus easier in the early hours of the morning,’” the Eagle reported. Pressure was put on the police by the Brooklyn Garage Owners Council, which would send people out to collect the license-plate numbers of cars parked at night, which it would turn over to the police, who would issue warnings. Similar ticketing-pushes hit other neighborhoods, as well. Most of the cars stolen are illegal [night] parkers, and stolen cars cause no end of extra work and trouble for the police. The majority of major crimes are committed with the aid of stolen cars, or cars from which plates are stolen, so as to insure a proper getaway. Drunks and bad boys take these cars for joy rides, many of which result in tragedies. Police records show the number of accidents because of cars parked without lights. [The] Fire Commissioner…is deeply concerned because of the very grave dangers caused by a lot of cars parked with doors and windows locked, when split seconds count in saving life and property. [The] Sanitation Commissioner…will tell you that parked cars make it impossible to flush or sweep streets properly and interfere with the collection of garbage. Parked cars, particularly those parked late at night without lights, are a fear hazard to people coming home, especially women. They serve as an ambush for thugs. The average figure for parking a car by the month in a garage runs between 30 and 50 cents a day [$5.25 to $8.75, adjusted for inflation]…and any man who cannot afford that price, cannot afford service, insurance, tires, gas, oil and other expense. It is absurd to argue that he can afford everything but the one thing that is most economical for him in the long run, and safest for him and the public. The issue of street parking, particularly at night, persisted for a surprisingly long time, long past the Depression and into the Kennedy era. In 1946, Governor Dewey gave Mayor William O’Dwyer the power to install parking meters in New York City—previously the only municipality in the state that didn’t have the authority—but the mayor “said he has no plans to use the power,” the Eagle reported, presumably because it was politically contentious—a matter of good governance, perhaps, but not exactly a vote-getter. 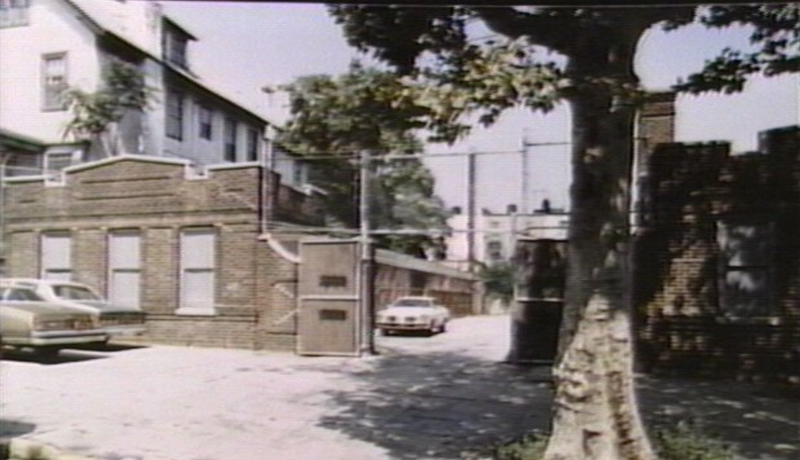 The following year, the Times got a scoop: the police would stop enforcing the ban on night parking “except in unusual cases” (“where cars were parked in front of fire hydrants, in front of houses in which the occupants were seriously ill and expecting a physician or ambulance or in front of certain driveways”), effectively legalizing it in practice. The garage-owners associations were losing power to the car lobby, represented by organizations such as the Automobile Club of New York. The next day, however, the police commissioner denied the Times story. 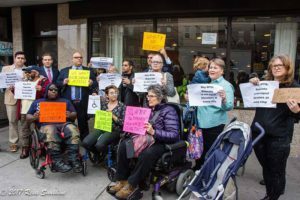 “I am opposed to overnight parking,” he said, “and summonses will be issued as before.” Discretionary enforcement continued as before. 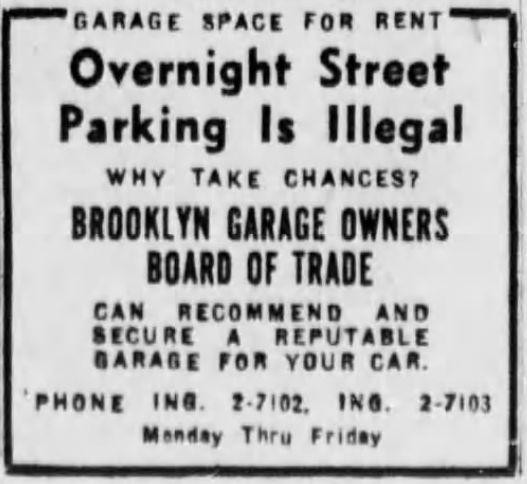 In 1949, one of the Eagle’s leading columnists called overnight parking “an abuse and a hazard”; garage owners said they’d have to close if something wasn’t done soon. Some said it was the garages’ own fault—the rent was too damn high! “In my neighborhood the cheapest rate I can get for a 1941 car is $20 a month [approx. $200, adjusted for inflation],” a letter write wrote to the Eagle in 1949. 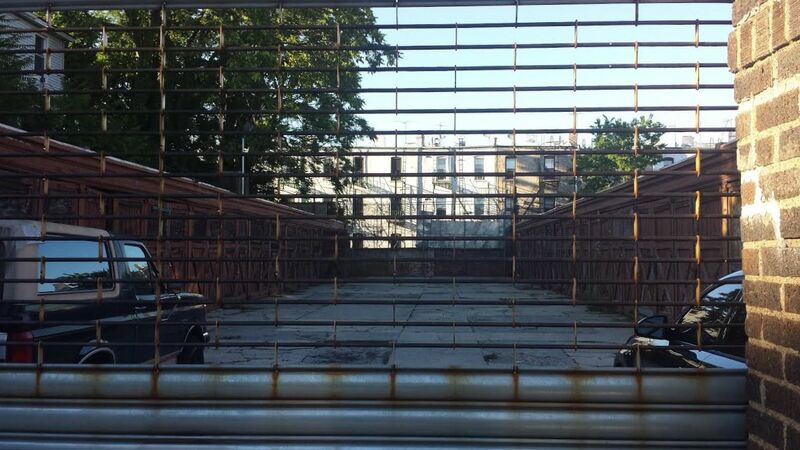 “Just add this amount on to your rent for your apartment and maybe [you] will understand better why cars are bumper-to-bumper overnight on the streets of Brooklyn.” The garage owners said a lot of it was idleness. 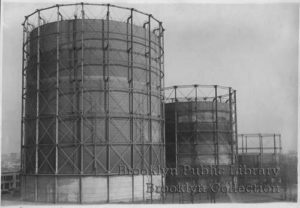 “Our surveys have disclosed that almost 20 percent of the cars parked overnight on Brooklyn streets belong either in their own private garages or in rented space in public garages or parking lots, but their owners are too lazy to park them where they belong,” one wrote to the Eagle in 1949. In 1952, “Garages Open War on Street Parking,” according to an Eagle headline, threatening to do something similar to what it had done decades ago—this time, collect the license-plate numbers of illegal street parkers, swear out affidavits in traffic court, get summonses and then serve them to the offenders. It hoped to do a few dozen of these a day and inspire police to once again do the same. The old garage industry was dying; wages in the industry were rising at a rate far behind that of the cost of living. In 1951, according to the New York Times, floor men worked 48 hours a week for $57—or $526.67, adjusted for inflation, less than $27,500 per year. Foremen made $85—or $785.39, adjusted for inflation, or less than $41,000. This was a perennial idea in midcentury New York, taken up with particular zeal by the New York Times. In 1952, the Board of Estimate decided to “forget” a proposed $60-a-year fee for overnight parking, which might have yielded as much as $12.5 million a year, the Times reported. Many considered such a plan (or something similar) an alternative to the new 3 percent sales tax being used to plug budget gaps. In 1954, a Times editorial argued, “according to our news story, ‘there was talk of reviving the long-dormant law that would permit a $60-a-year charge for overnight parking, but that nuisance tax was rejected as being too damaging politically.’ Well, nobody is running for office right now. The overnight parking tax would be a just charge for land use and for creating something of a public nuisance. It would raise millions of dollars. The money is needed, and urgently.” (Emphasis mine.) This was the same year that overnight parking became de facto legal. In February, 1959, New York had a projected budget shortfall of $141 million ($1.1 billion, adjusted for inflation), and many business owners urged the mayor to implement a night-parking tax—because the alternative, the sales tax, would be bad for business. Milwaukee was the model: that city collected $4 a month from night parkers. But Wagner wouldn’t do it. In 1959, the fear of crime was raised again. 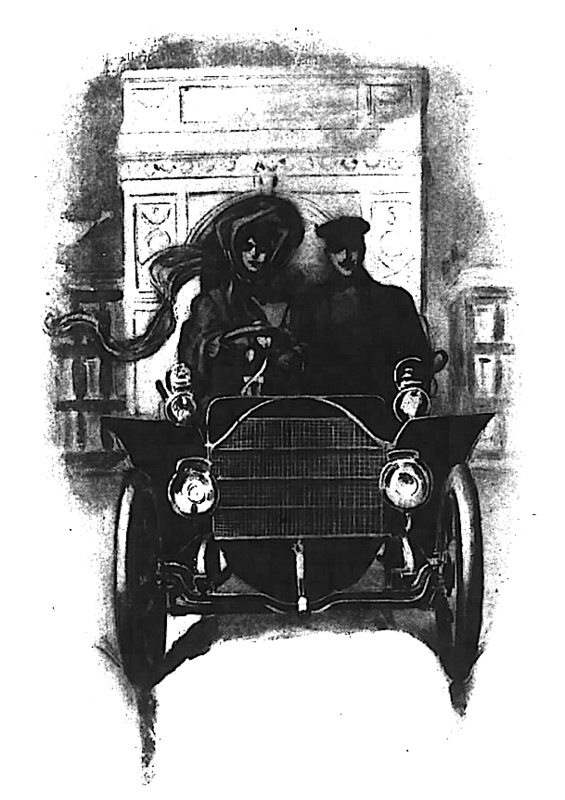 The Broadway Association wrote, in a letter to Mayor Wagner, “Solid lines of parked cars on both sides of most of the city’s residential streets during the hours of darkness form a perfect screen for muggers and vicious criminals who hide between or in back of parked automobiles while waiting for an unsuspecting victim. “As a result the patrolmen on duty in these streets are greatly handicapped by having their view obstructed and much of their value is lost.” Compounding the problem of all-day, all-night parking was the new “menace” of double parking, which reduced the road space already greatly reduced by parking. There came a point in the mid 20th century at which car owners were no longer a minority, no longer mere hobbyists and rich men, when enough New Yorkers desired the convenience of parking on the street in front of or near their home—when streets became not active public spaces but passive outdoor storage spaces, punctuated by moving traffic. If cars made it unsafe for people to occupy the streets, then why shouldn’t the cars continue to occupy them, even when they were at rest? And it became such a fact of life in the city that we rarely even question it anymore—that free overnight street parking could be anything but a god given right, at least for those lucky enough to find it! And not that much time has even passed. Ovington Garages still operates as garages; a sign advertises GARAGES FOR RENT, with a local phone number. Ironically, they’re no longer owned by their neighbor to the east but to the west—the St. Nicholas Home for the elderly. According to an 1890 map, the land where Arthur Constant built his garages belonged to W. S. Constant, either Arthur’s father or his brother, William, and there’s a house there; what house it is, who knows. This house was No. 443, later the address of the garages. This house also appears on an 1898 map. 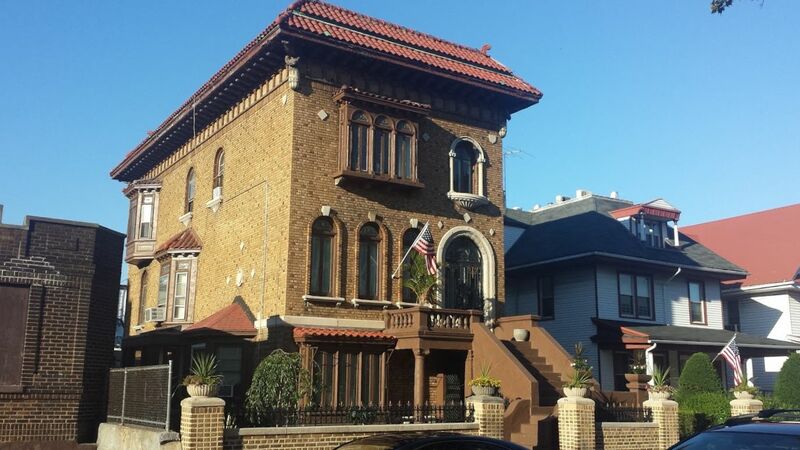 In 1900, according to the Brooklyn Real Estate Record and Guide, the five Constant siblings—William, Arthur, Ellen, Mary and Katharine—divided what was presumably the family land (perhaps the father had died): the boys took neighboring plots of Narrows Avenue, the women three plots on Ovington. 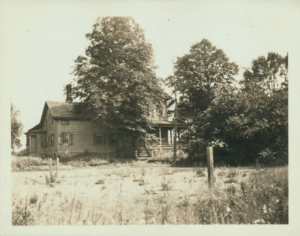 But according to the 1909 Annual Record of Assessed Valuation of Real Estate in the City of New York, the three Ovington plots belong to W. S.—either outdated information, or the brother had retaken the land? Great article! I saw these garages recently and wanted to stop in and shoot a few photos.